You're Invited! 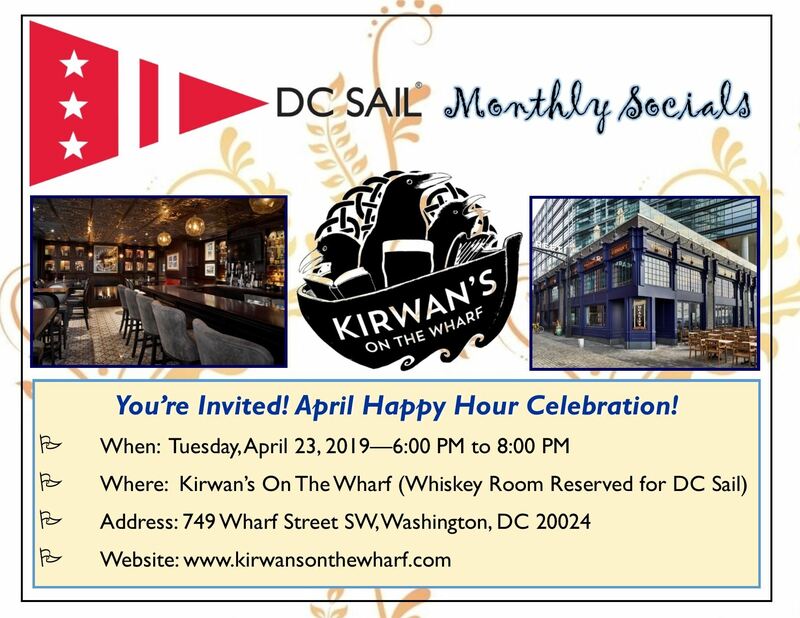 Please join us as we gather for our Monthly Social Events! Scroll down to the red box below to RSVP. See you soon! 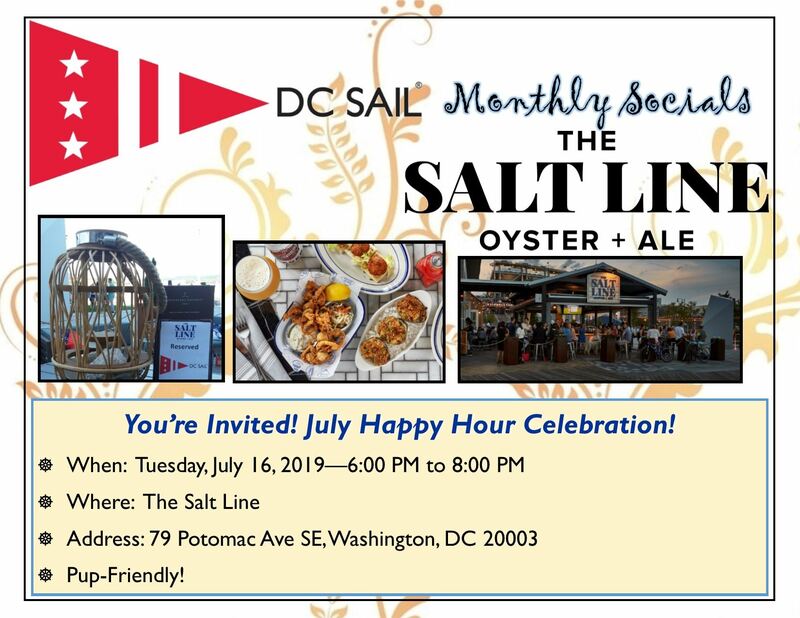 Our location at Diamond Teague Park Piers does not have facilities to host dockside BBQ events, therefore, we'll no longer be hosting the "Social Sail/BBQ" events. 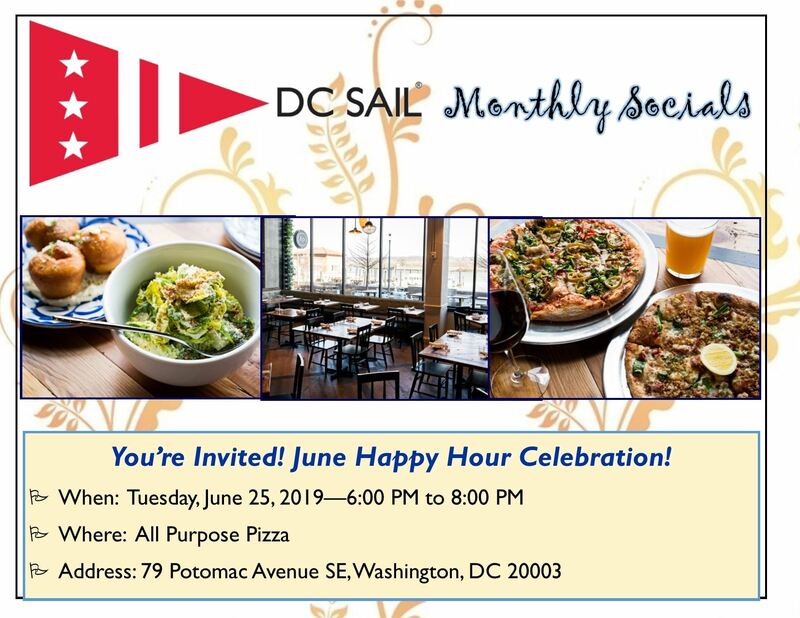 We are pleased to announce that DC Sail will be coordinating arrangements with local venues for "Monthly Social Happy Hour" events! We will post the information below in the registration box. Guests are most welcome. 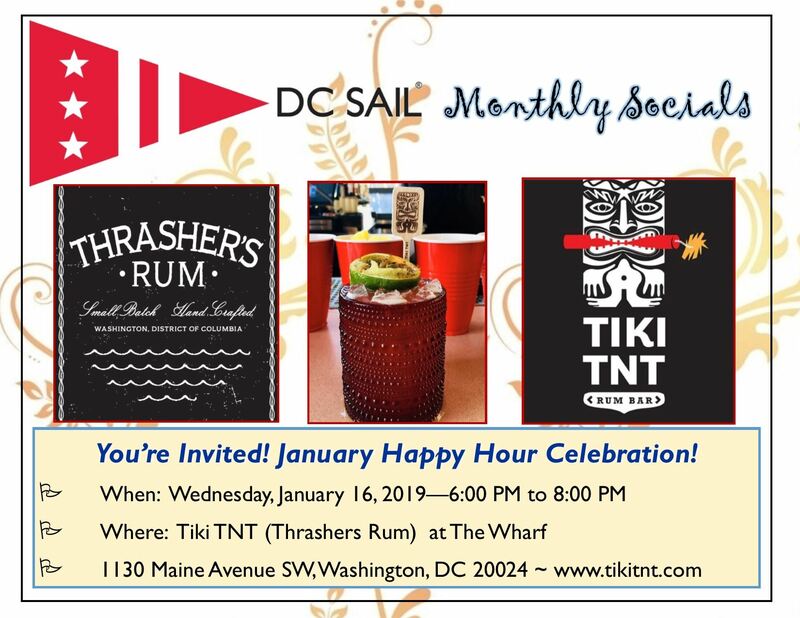 While there is no registration fee to attend the Monthly Social Happy Hour, please note that you'll be responsible for picking up your own tab for personal food/beverage purchases. The venues will create generously discounted pricing on select items and will provide the gathering space for all of us to get together once a month! Look for the link below to RSVP if you wish to attend. While not required, your registration is very helpful to both our staff and the venue for their staffing and operations planning. 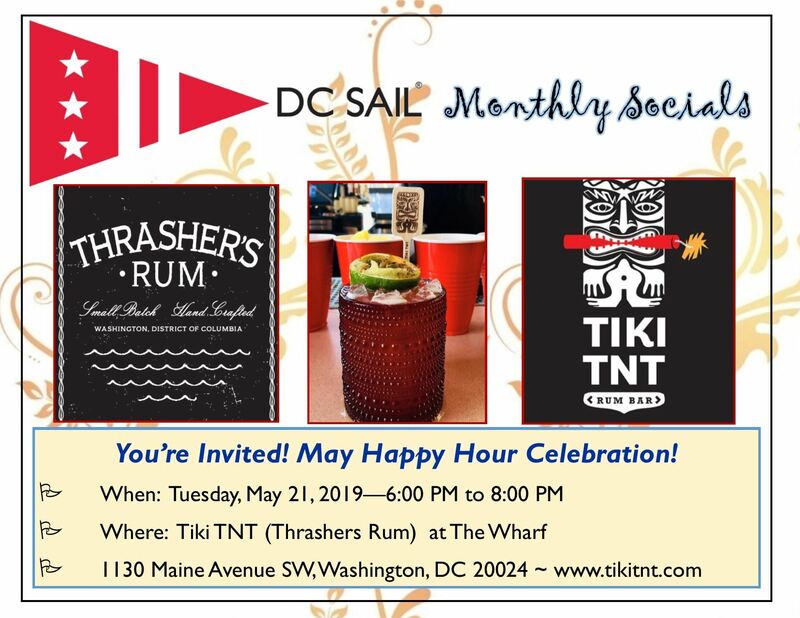 For additional information, please contact Traci Mead at tmead@dcsail.org. 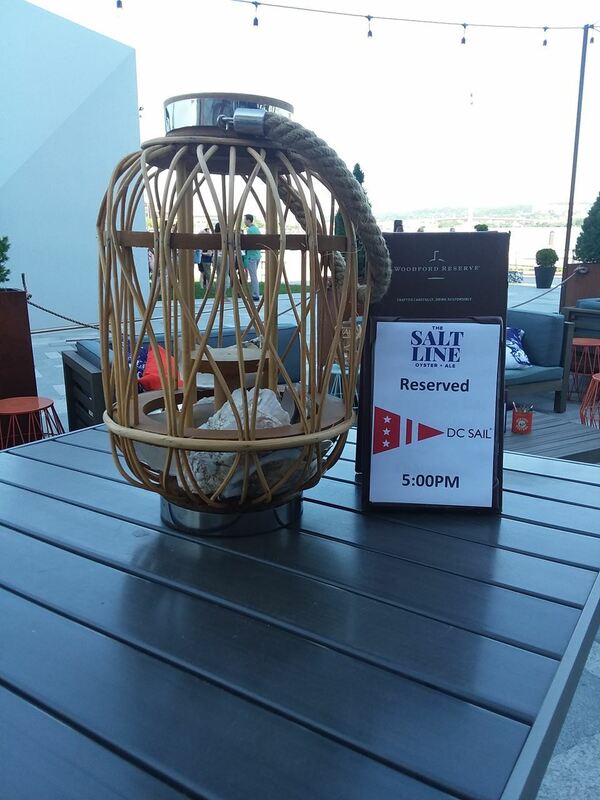 Or call 202-547-1250.